and for a short time you will flourish. When Kyle and I set out for the DaKobed Range, we had a freshly acquired map and a weeks worth of food. Neither of us knew much about the traverse or the way ahead, but that didn’t stop us from cracking a plan. 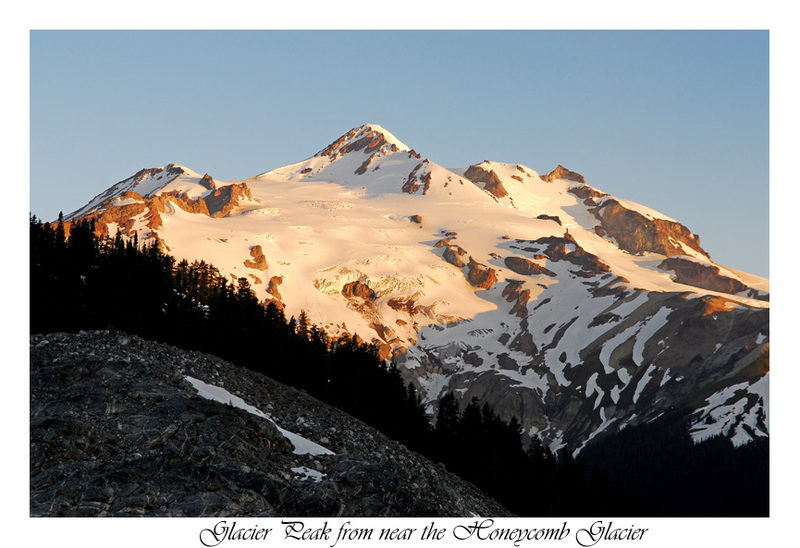 We’d go in Boulder Pass, climb Glacier Peak and exit Indian Creek Trail. 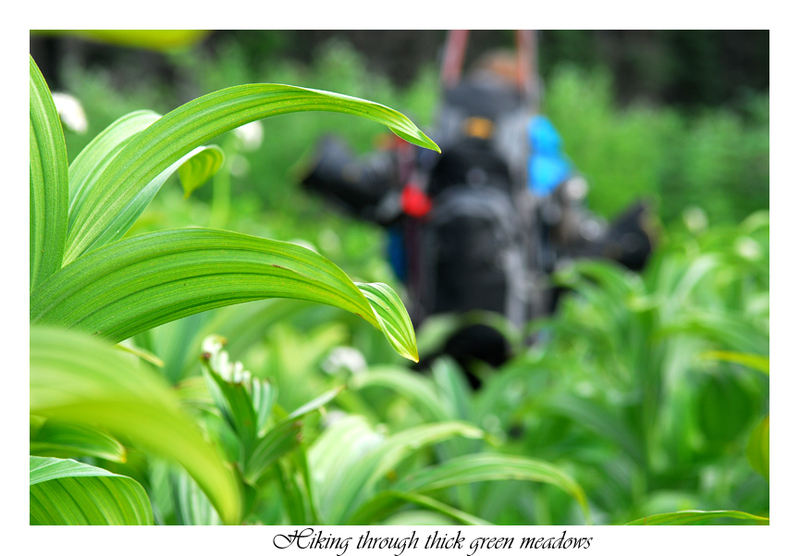 With a cloud of bugs, heavy packs, we put shoe to trail at 8 p.m. By then we were already wondering what we had gotten ourselves into, but any considerations were lost in a flurry of feet and arms fighting the awful mosquito and her buzzing hoards. Because we had left so late, darkness was nearly upon us as we reached camp 4 miles in. With a lighter in hand, I began a fire in hopes of repressing the bugs. 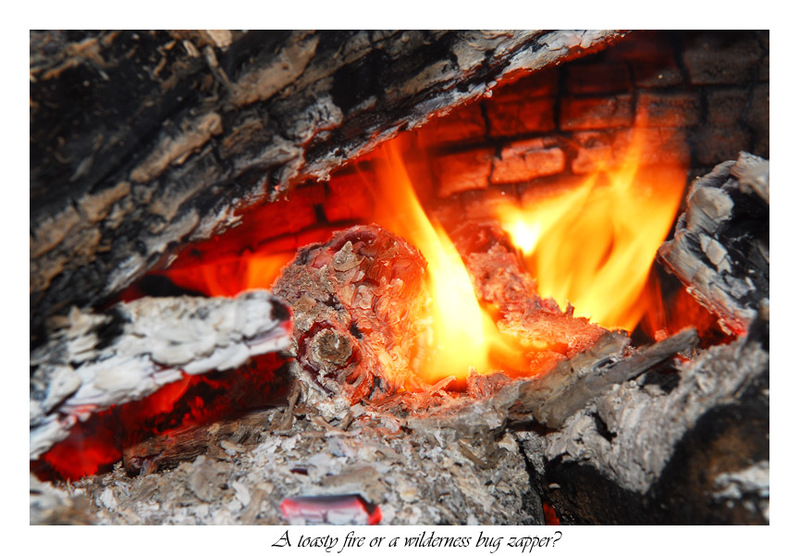 Since there was a healthy supply of deadwood from the winter season, it wasn't long before the bugs had been vanquished. After camp was set eyes and mind were lost in the crackle and sway of the red and orange flames. The next morning we pulled on our heavy packs and left the White River Trail for Boulder Pass. The way there was a slow grind uphill. 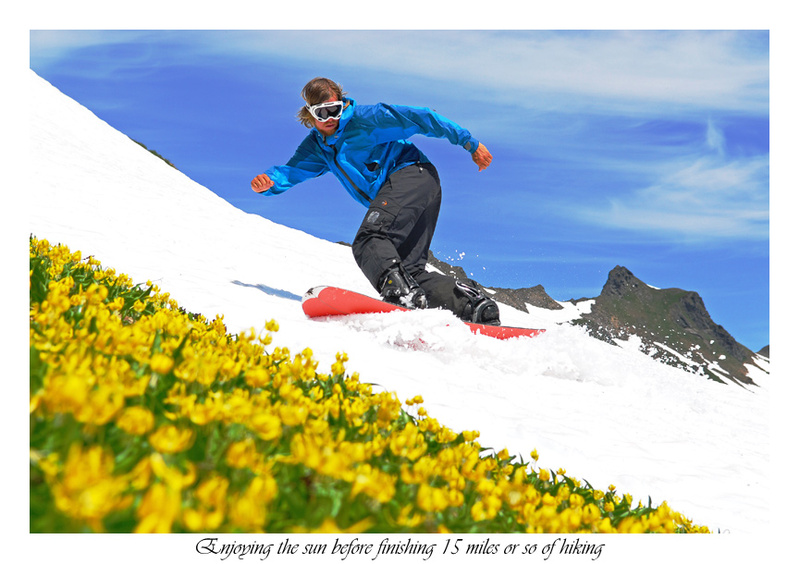 Sights of snowcapped mountains led us to believe skis gliding across snow were a moment away. Instead more uphill and patches of the white stuff made going slow and tedious as we were always in search of the trail. Losing it wouldn’t be fun since the pass was melted out. Eventually we did abandon the trail for a high point on the pass where we changed to boots and crampons for a high traverse to a ridge. Both of us were curious to see around the corner and what the day ahead would offer us. Once on the ridge I was afraid the tracks I saw were from another party of climbers. Those fears were set aside as we glided over them. They weren’t human at all but goat tracks. We had plenty of time to go further, but the decision of which side of Clark to go on concerned me. 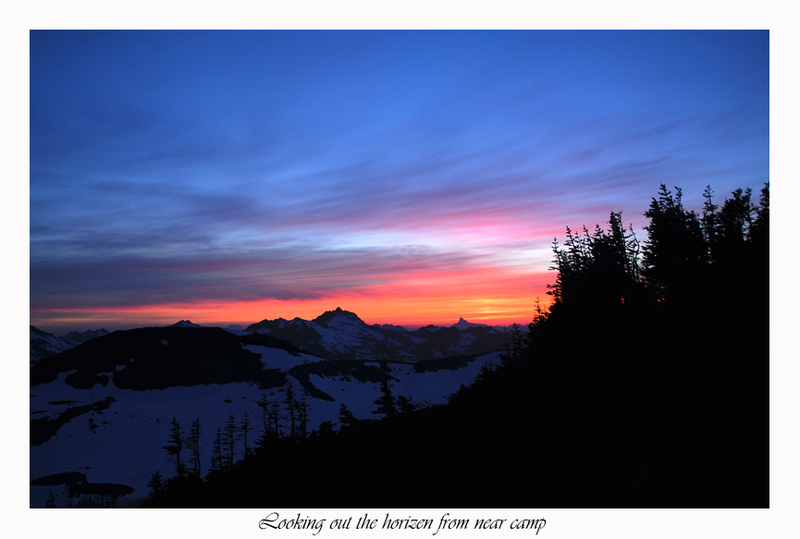 With such a wonderful camp a few hundred feet above the pass, we decided to wait until morning. That time was well spent. 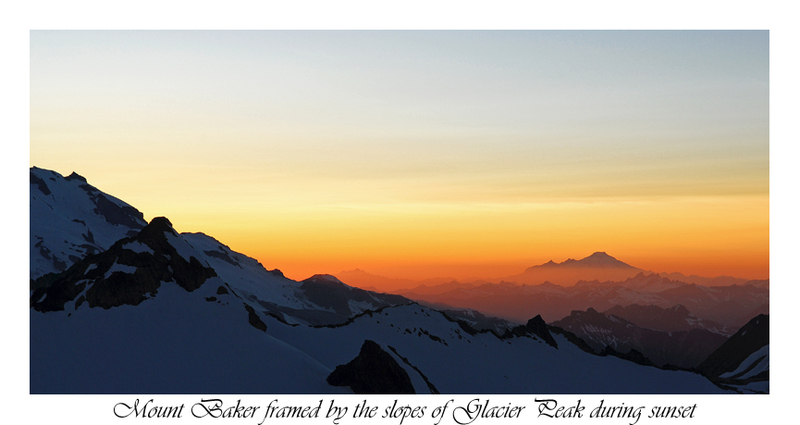 On Clark Mountain’s ridge, we watched the sun go down over Glacier Peak. 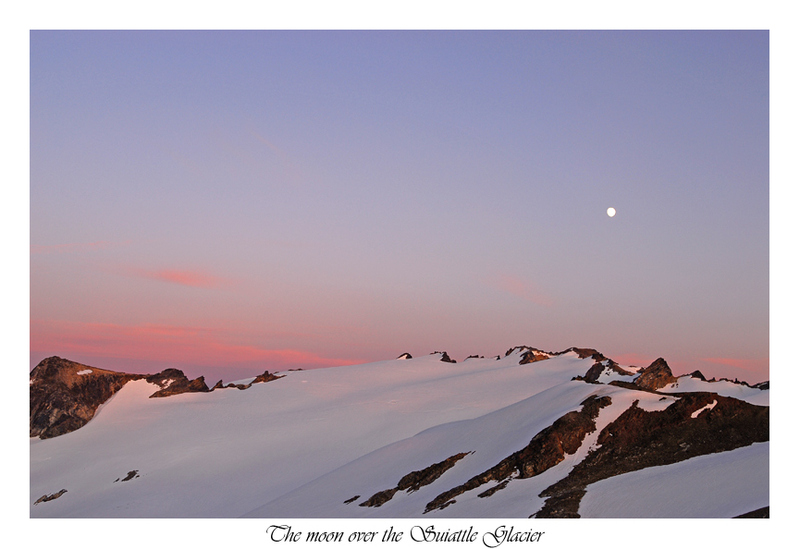 She dreamily appeared far off with Mount Baker at her side, blazing red on the horizon while she stood stoically by, unembarrassed or blushed by his advances. Just then, I wondered how we’d ever arrive so far away. Pass and col, ridge and slope, cliff and stream, glacier and snowfield separated us. That night I went to sleep with the stars at my feet and later, the moon, looking me in the eyes. On this day more traversing was ahead. 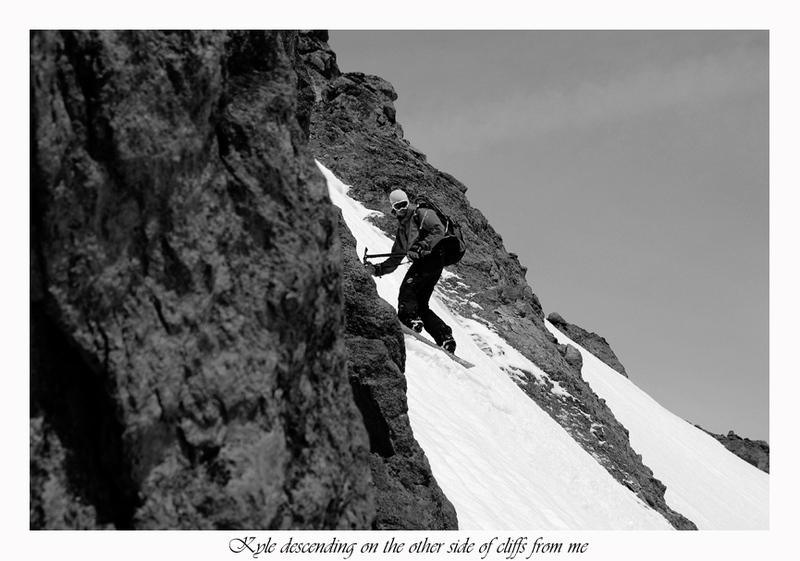 For Kyle, a snowboarder, he couldn’t imagine better methods of torture, but around every corner, the mountains would invent one he’d not thought of. While I dashed across slopes on my skis, he would hike across. When he’d arrive I’d be ready to go. This continued to his dismay. 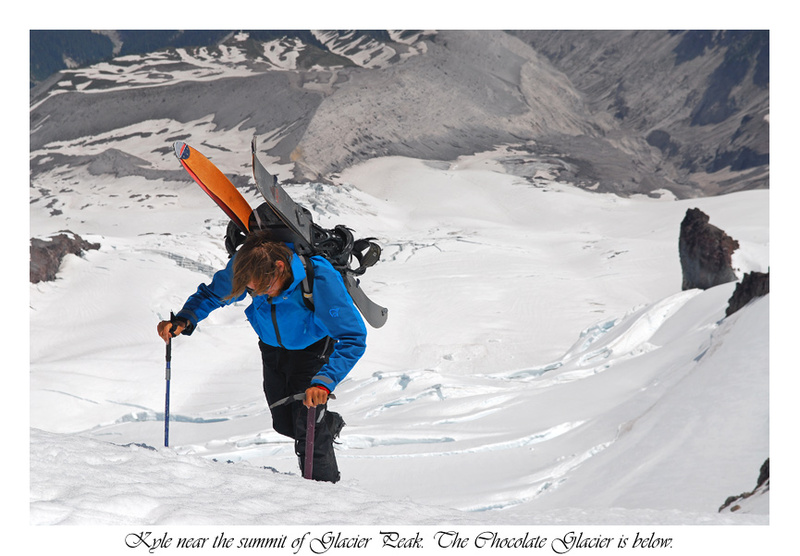 At one point I expected mutiny, but Kyle who is on a quest to ski all the significant volcanoes in the Northwest (Glacier would be his last in Washington) was in fine enough shape to tackle the abuses with a smile and a "Let's go," or "I'm ready." What spell bounds me most about traversing is the route finding. Where there are so many choices, even with a map in hand you are questioning every turn you make. Will it go? Won’t it? Will I end up wasting time or will I get lucky and the way forward will open her arms? Take crossing a few passes on the other side of Clark Mountain. For each one, I dropped my pack and scouted. Often looking back and realizing “Darn, I think I could’ve gone that way!” But you never know? 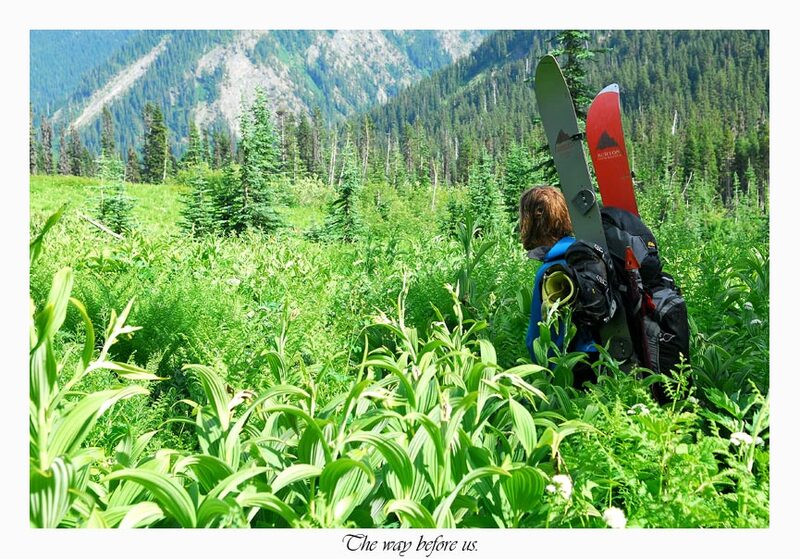 While lounging on a ridge I decided to plot another course that would intersect with the Butterfly at around 7200-ft. There appeared to be a cheat route. After a long scout, I could see that there was potential for a cliff, but considering it worth the bet, I continued back with my full load and Kyle. Once at the pass, I could see the Butterfly. What a wonderful glacier. Across I could see the pass we were meant to drop to. Ahead of me was a cliff, as I feared. It didn’t appear possible at first, but after another scout I found a way. With the road ahead clear, a smile appeared on my face. One more obstacle bites the dust. 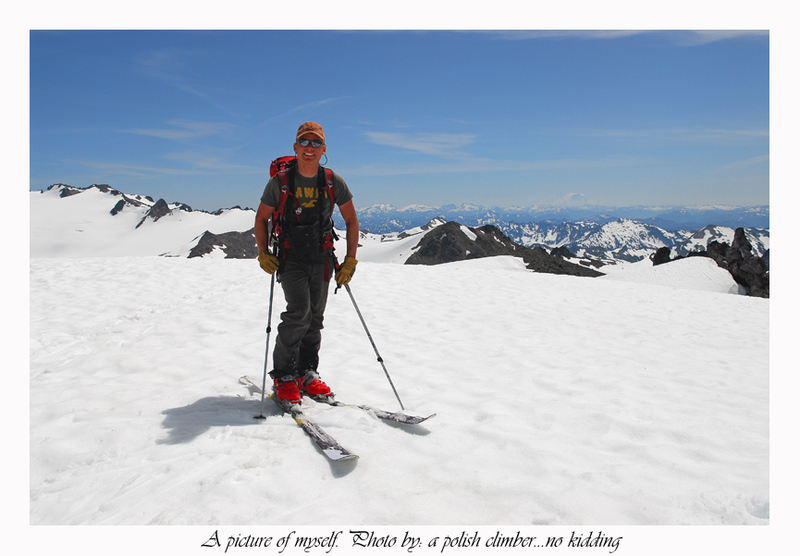 As I said, I knew nothing about this traverse other than it went to Glacier Peak. 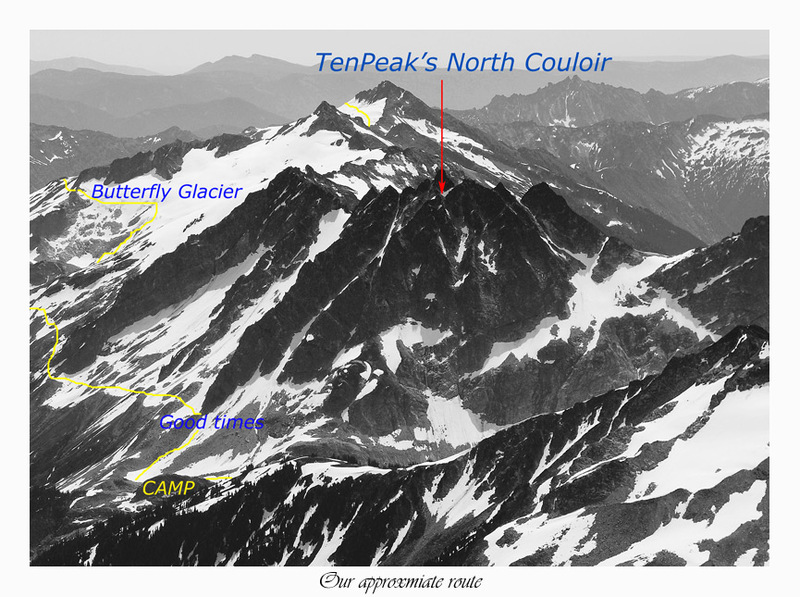 From the map, going beneath Tenpeak was the crux of the entire journey. My hope was that snow would make the traversing easy. 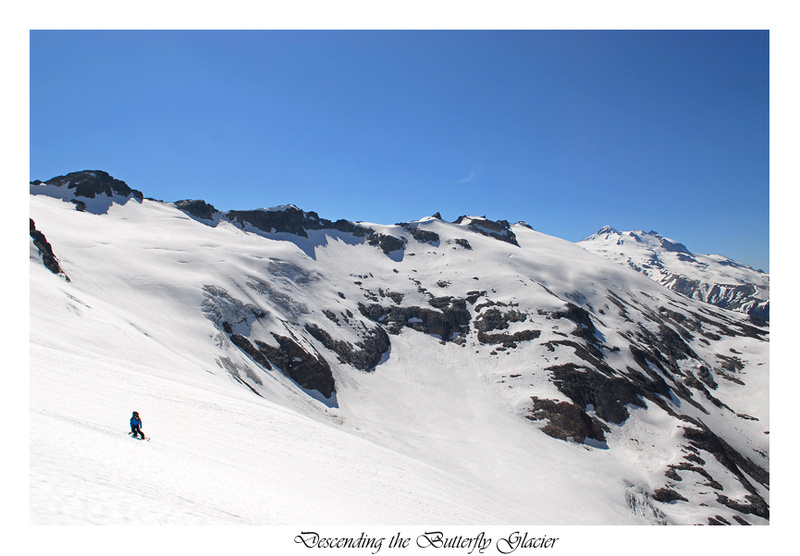 When we skied a bit further down the Butterfly, climbed back up to the pass, we discovered another lake and pass. More climbing brought us to a point we could see the way ahead. 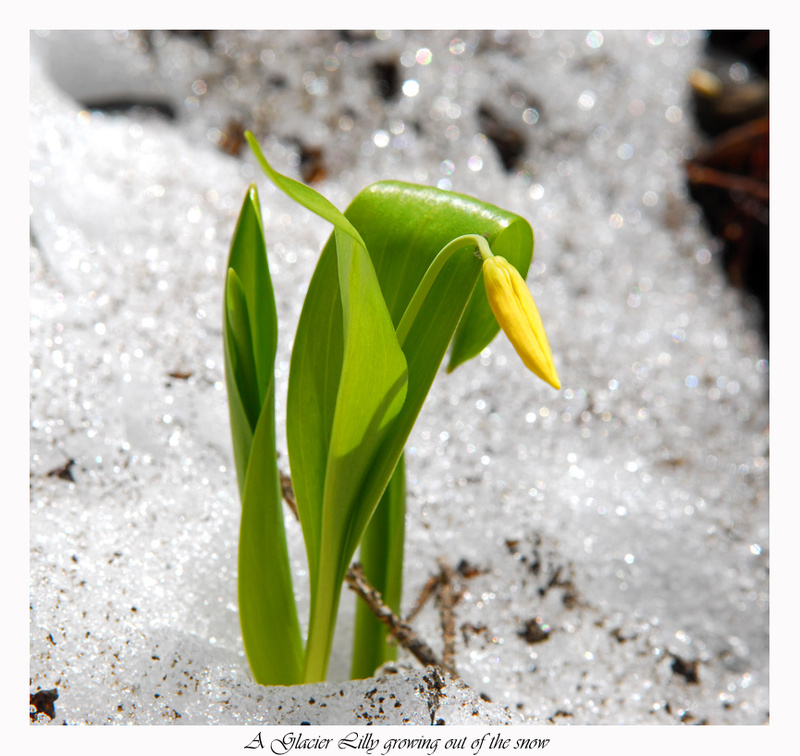 As I feared, snow was mostly absent, but not entirely. Staying between 6200 and 6400 feet, we worked our way to a stream. This did not look good. In a snow patch I gazed down a steep creek surrounded by cliffs. A low route appeared as if it was possible, but I wasn’t sure you could cross wet slabs of rock or the stream itself. It looked big from above on a snow finger. I decided to make a bet. Cross the creek on snow and descend a very narrow sliver above a waterfall and tenderly glide right next to the maw of it as I bypassed a cliff. All the while hoping the snow wouldn’t give way. I took it one bit at a time. It turned out to work fantastically. Several side steps and careful maneuvering brought me past cliffs to a point I could climb over heathered slopes. Fantastic! Kyle made safe passage soon after. More slopes led us over a few more rolls, each one we stayed high on rather than dropping low. This is the way to go. Once we saw another tarn, we dropped on snow below the North Couloir of Tenpeak. These turns were fantastic and hard earned. We filled up on water, several quarts and went to sleep. Little did we know what we thought was dirt was in fact dozens of tiny flies. Fortunately I didn't realize my meal until morning. Before the sun rose, I stepped out of the tent intent on getting sunrise photos. I spent a few hours waiting, but the magic I was dreaming off never came. 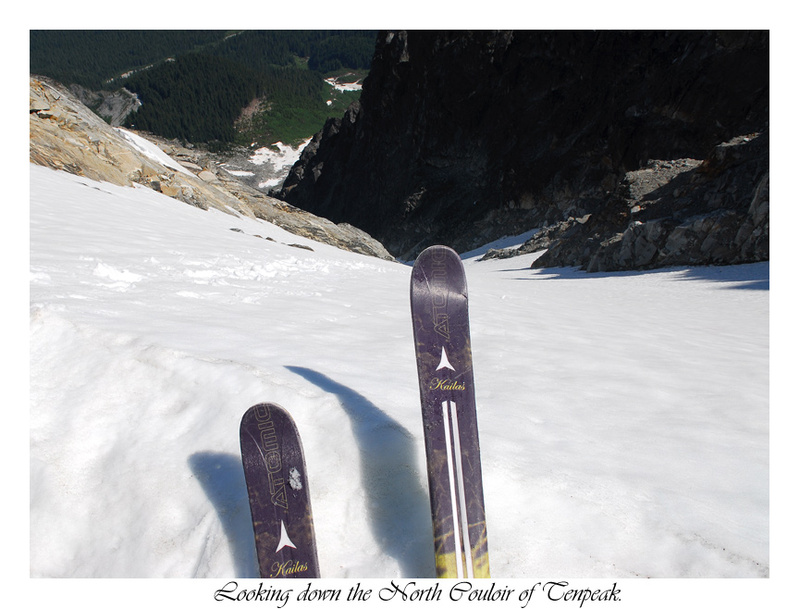 Instead sights of Tenpeak and it's north couloir began to fascinate me. Where there was a spark of desire to ski it, after a time, that spark grew into flames. 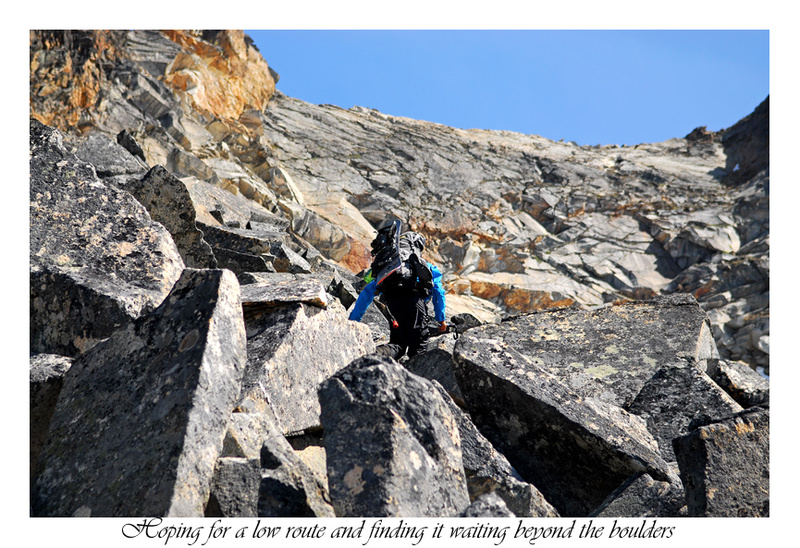 Suddenly I had the nerve to step into my boots, pull on my pack and begin a lonely trudge up the mountain. Kyle had decided the early morning snow would be too hard for his snowboard. 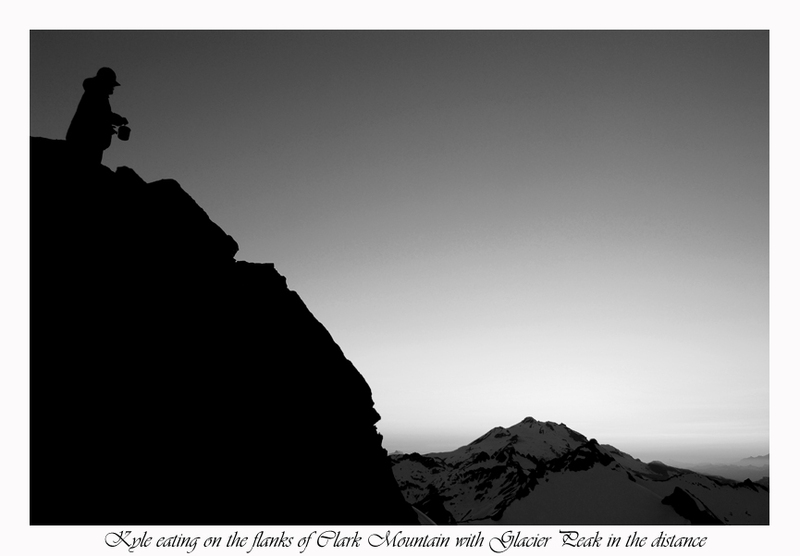 When I entered the couloir it was difficult to say whether or not that'd be true, but better safe than sorry. 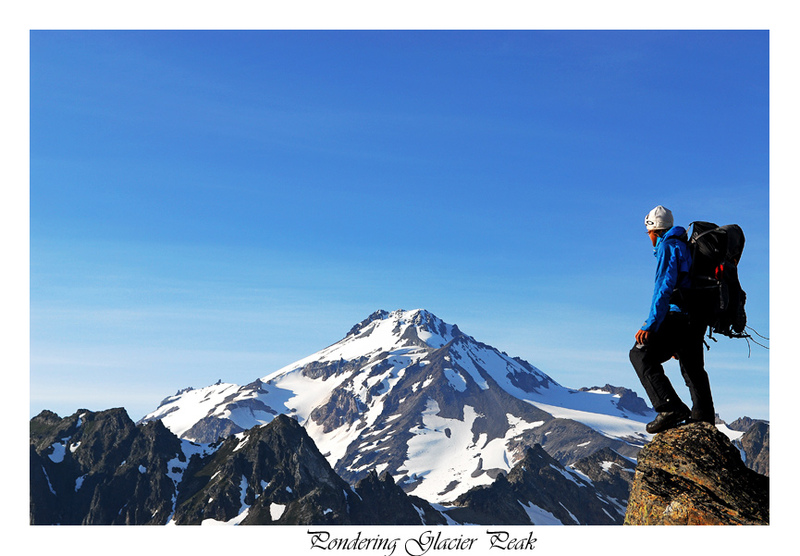 My intent was to climb the route very quickly so we could move on toward Glacier Peak. Looking up into the shadows, I wondered if the sun would smite them or if they'd keep me company throughout my journey. Any sun affects your perception. 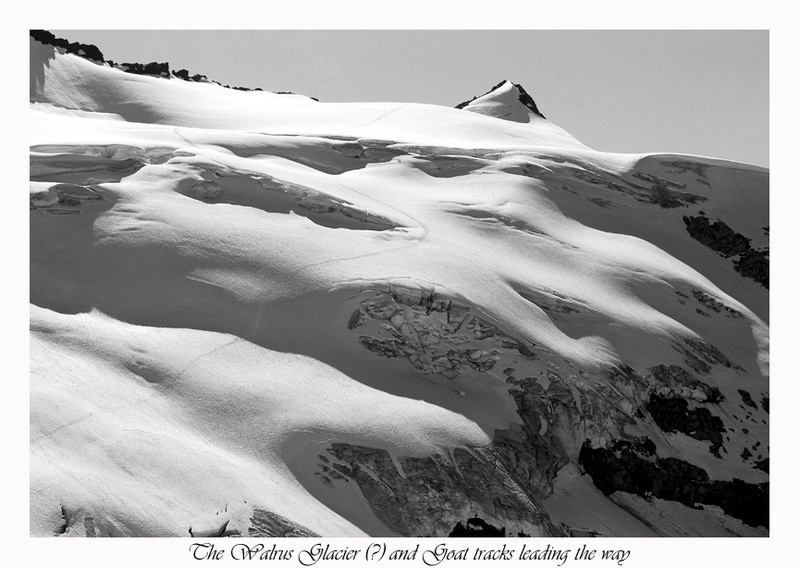 When it paints the slope, you think it is much easier than when shade permeates the rock and snow. It appears scarier, simple as that. I hadn't pulled out my ice axe, thinking my whippets would be enough. While along the bottom half that was the case, up higher it was steep enough that any rest was precarious. With an axe I'd of been able to lean back on it. Instead I had to stand on my toes. About 2/3rd's of the way up I broke through the shade into the light. It was a great feeling. The snow here was very steep, but soft. 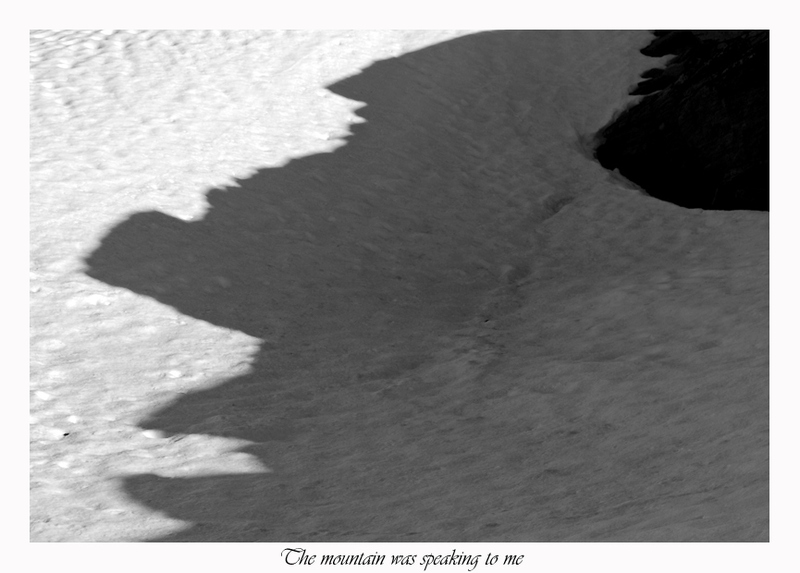 About 100-ft below the summit, the snow ended suddenly and I climbed up onto rocks where I took a break. Transitioning to the descent always gets my heart going and mind racing, but as soon as I pushed off the lip, all the noise quiets. "There's work to be done." While the photos make it look flatter than it was, don't worry, there's steeps here to keep you busy. My first two dozen turns were slowly made. Then I began to feel more confident. In my stride, once I left the steepest sections behind, I only pulled up a few more times until I skied all the way back to camp 2000-ft below. Damn I felt good. In a stream a few minutes from camp I picked up (non fly ridden) water. I had made the round trip in less than 2 hours. Now it was time to put my big pack on and begin the real work. We decided to climb over the lowest col. While Kyle took the sportin' route, he pointed out easier fare for me. I was happy to oblige. Along a ledge, I spotted a flower. 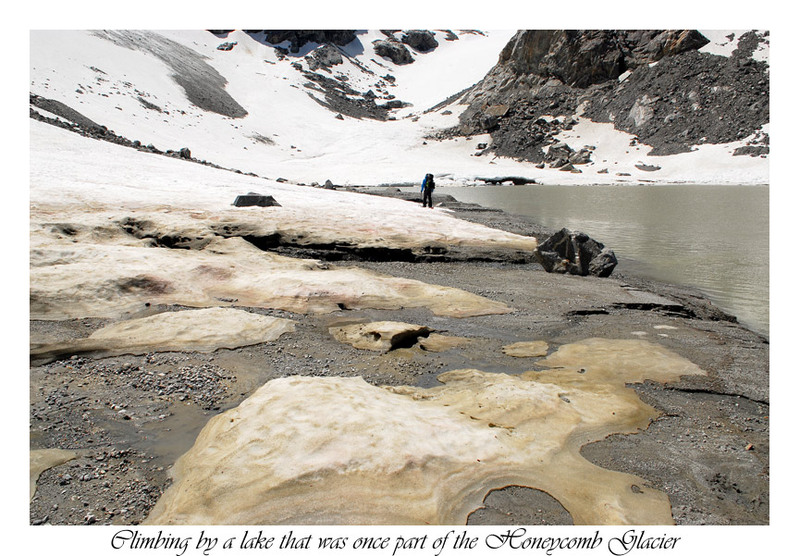 In the DaKobed Range there are many glaciers, most less than their former glory. Where I stood for that photo probably wasn't so long ago covered in ice from nearby Honeycomb Glacier. 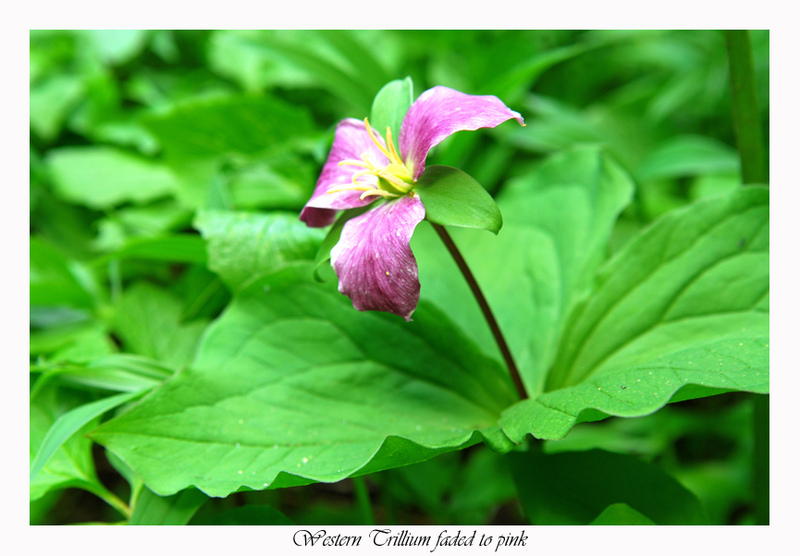 I found this color heartening. 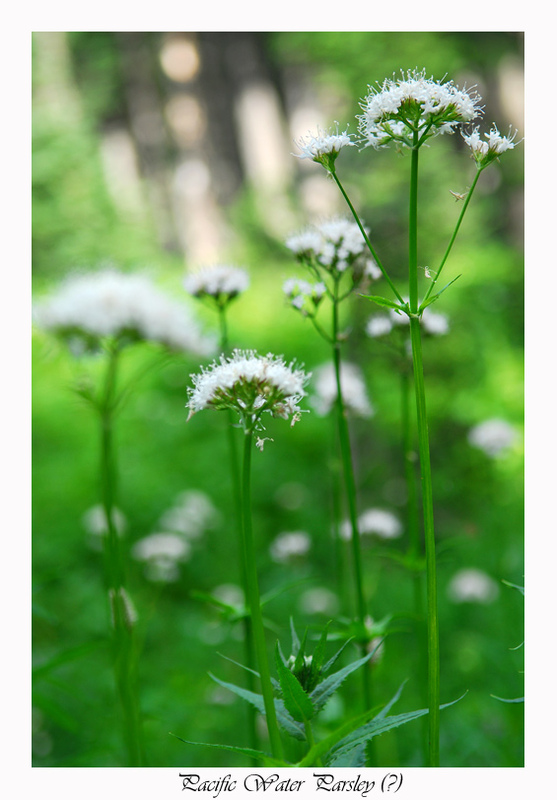 It shows that life will cling to anything, even if just by a thread. 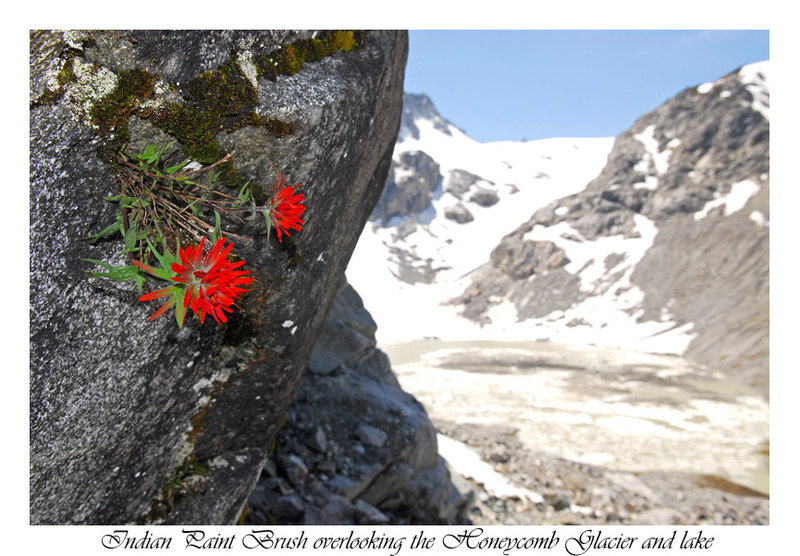 In this case Indian Paint Brush beneath Tenpeak, overlooking a glacier lake. Once down on the shore, we continued hiking until we could put skis on again, at which point we were soon climbing up the Honeycomb Glacier. Incredible views were had to either side. There is something to be said of the simplicity of white on blue. It puts a man in perspective. In the lowlands the world is so cluttered, but up in the mountains it is you, the sky and everything else below. We climbed very quickly upward until we reached a point where views of Glacier Peak opened up to us. After a break we dropped and traversed across the Suiattle Glacier to a point where a dry ridge provides a good place to camp. Pulling up, we lounged out on the rocks and relaxed for several hours before going to sleep. In the morning we quickly added skis, clothes, food and water to our packs and headed up the mountain. 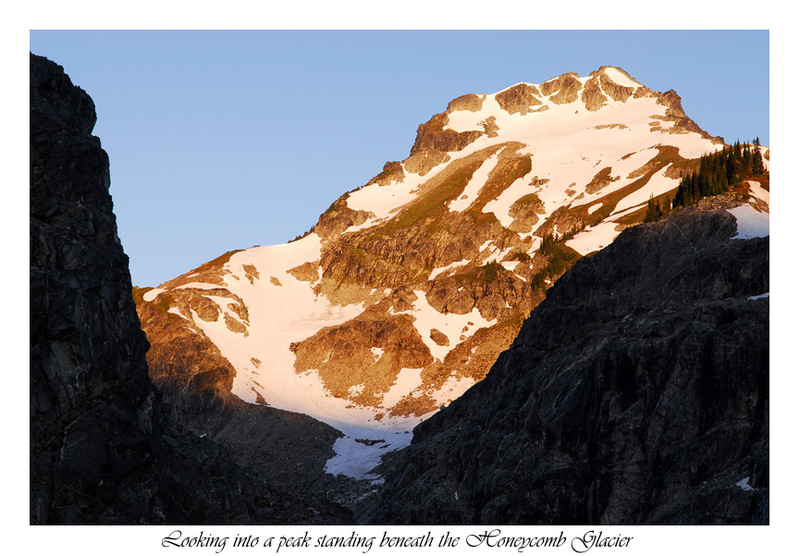 To arrive at Glacier Peak via the scenic route, we were excited to finally be climbing up it. Of all the ideas we had, we were worried the weather was in for a change, so we knew today could be it and we were fine with that. After so many days in the mountains, you need a change of pace. 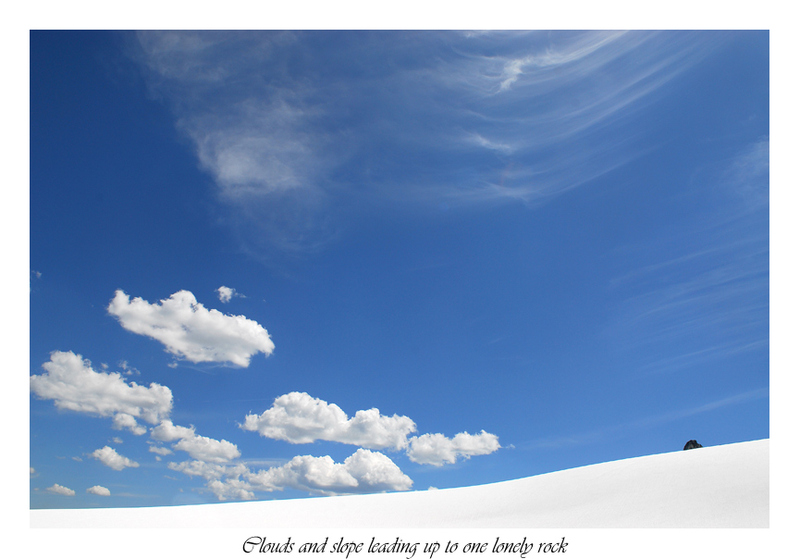 But when you get it, all you can think about is the simplicity of life while climbing. 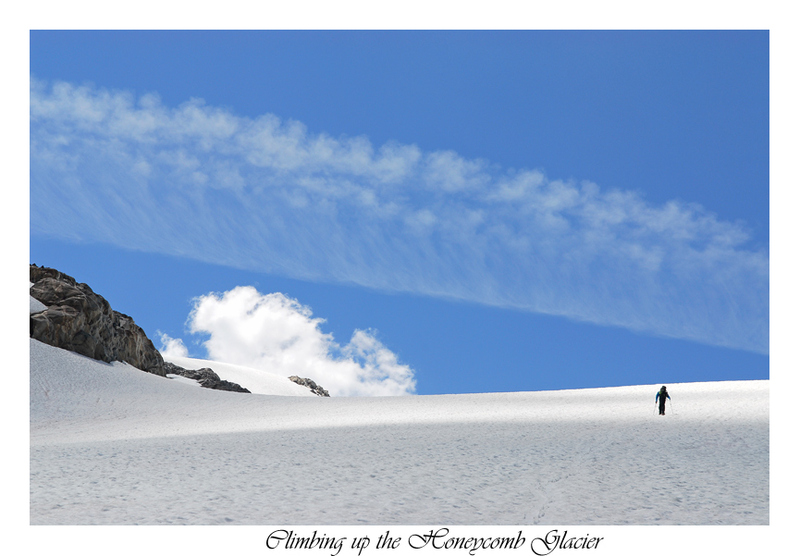 Reaching the upper snowfields was easy and crossing over to a pass that rounds Disappointment Peak, the same. I was able to keep my shoes on until we reached the base of the Cool Glacier Headwall. The line up it I kept in mind for later. We decided to change routes from the standard climb and instead headed for a ridge above the Chocolate Glacier. This provided a more exciting climb with no tracks to follow or people to see. After so many days not seeing them, any were a shock. Throughout the trip this is the only area we'd see anyone. At the summit I waited for Kyle before going to the top. We weren't there long. 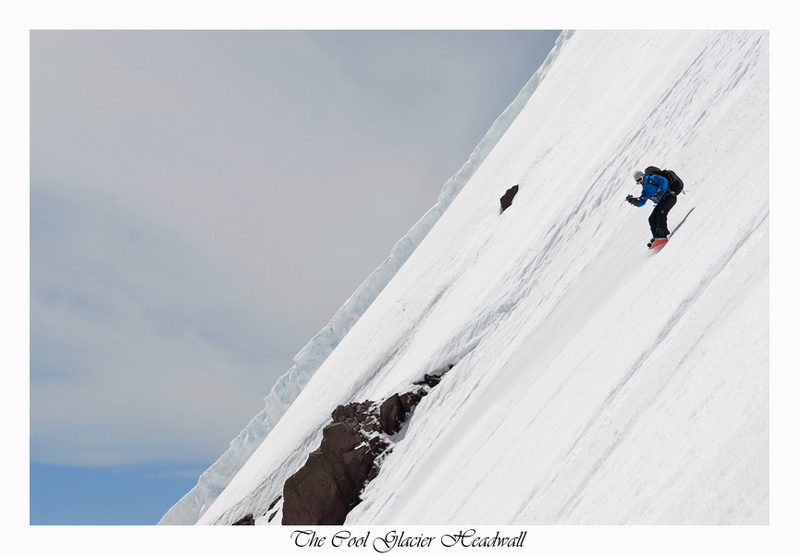 The snow was getting soft fast, so we descended directly down from the summit onto the Cool Glacier. This provided 1000-ft of 45-50 degree skiing. It was exciting and remained sustained to the very bottom where it flattened slightly before crossing a schrund. 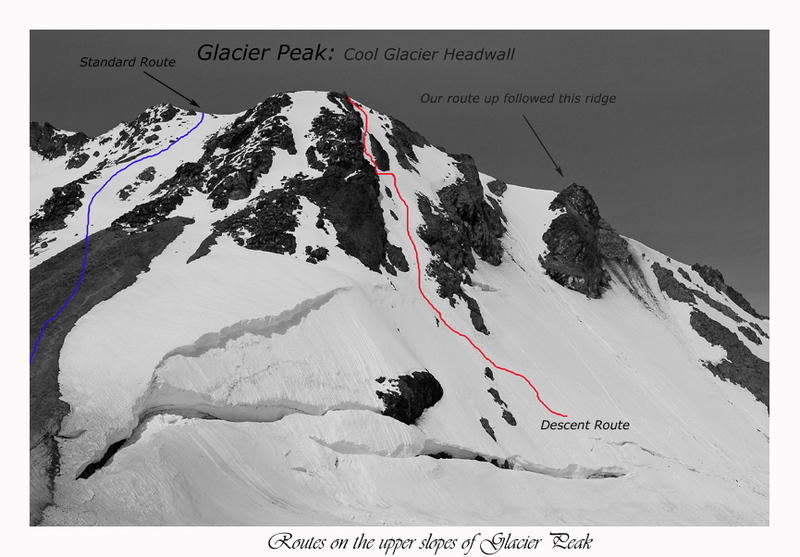 Once down on the Cool Glacier we traversed over to Disappointment Peak, climbed to the top and found a place to descend. The ski was perfect. Combining these two descents was certainly satisfying. At camp we saw some folks searching for a place to stay. Kyle and I talked and decided to let them take our camp. By then it was later in the day, but cooler temps were thanked for during our hike to find another place to stay. Along the way we met a few nice folks, even a few I knew. 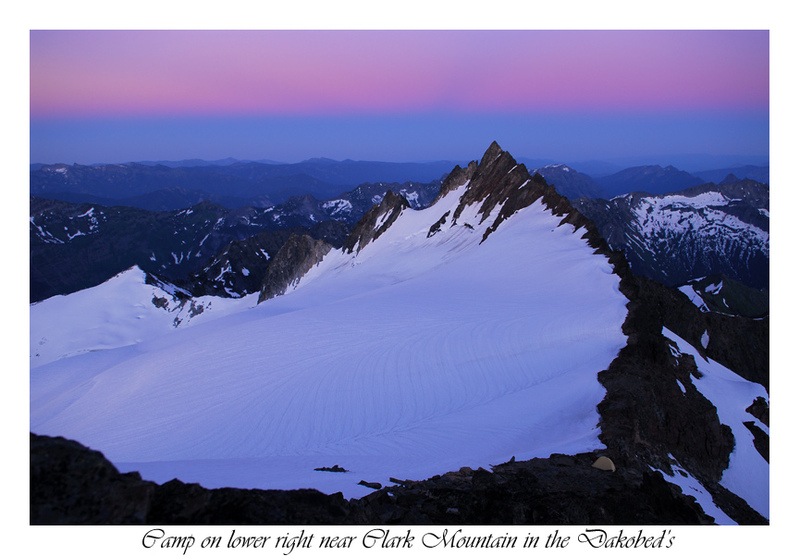 Last year Kyle had climbed Glacier Peak and camped near White Mountain. We decided to hike across the White Glacier and climb a small hill overlooking the area. Here is where he had stayed last year. For our stay, time lounging around and enjoying the good water was pleasantly rewarding. It is always satisfying knowing the efforts to come are just a matter of one step in front of the other. There were no more big challenges. While the final sunset wavered on the horizon, I drank hot chocolate and pondered. Since the Indian Creek trail wasn't on our maps, we weren't sure how far it was or what to expect. We had a few extra days of food, so we didn't exactly care as long as it was a nice hike. As it turned out it was. 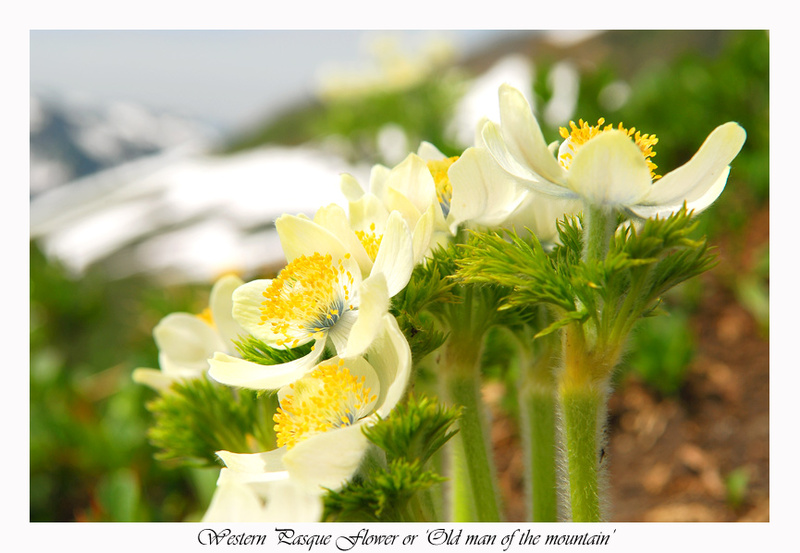 Along the way we were greeted by meadow after meadow full of False Helborne, Glacier and Tiger Lillies, Indian Paint Brush, Columbine and many other wonderful flowers. We crossed avalanche paths and creeks before finally entering the forest for good. Where Indian Creek met the White River, Kyle had gone ahead. By then I'd been set on automatic for the past few hours. Even the bugs weren't enough to drive me from my stupor. Next to me the river gurgled over rocks as my thoughts did over memories of the past 6 days. There was less mystery in these hills. I knew then that there is a limited supply of it and you'd better mine every ounce from every stream, glacier, mountain and valley. I pulled my eyes off the trail and thoughts back to the present. 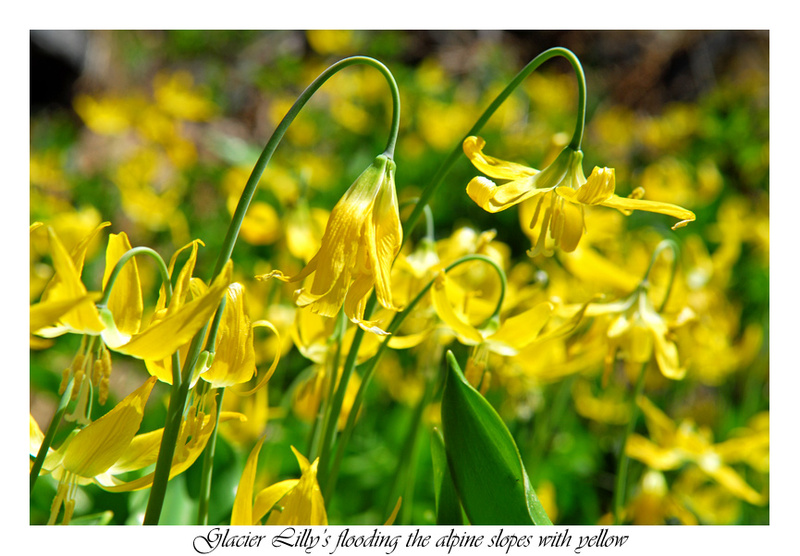 More photos: see Alpine State OF Mind. Or CONTACT ME. If you enjoyed your visit, tell us about it, go to the GUESTBOOK. 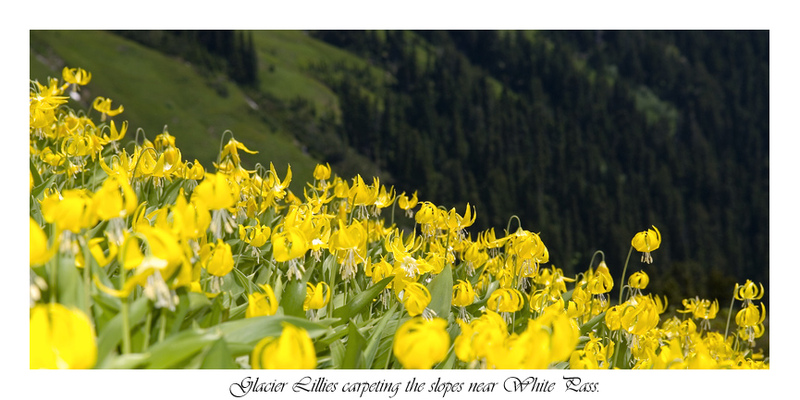 If you like this report, check out the Ptarmigan Traverse and Nooksack Traverse.